BNP acting secretary general Mirza Fakhrul Islam Alamgir on Monday alleged that their party candidates are being forced to stay off the municipal polls with terrorism and intimidation by ruling party men. “Our candidates in many areas are out of polls campaign as a reign of terror has been established by ruling party men in every municipality,” he said. Fakhrul came up with the allegation while speaking at a discussion at the Institution of Engineers, Bangladesh arranged by Jatiyatabadi Krishak Dal, marking its 35th founding anniversary, UNB reports. 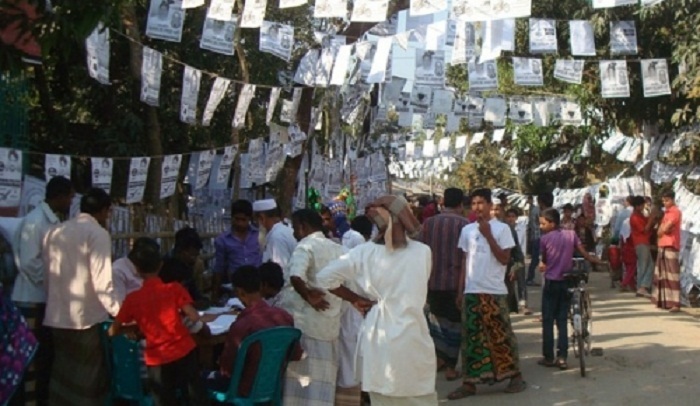 The BNP leader alleged that their many candidates have already been attacked and their leaders and activists were killed and injured by ruling party men in different municipalities. Besides, he said, over 6,000 BNP leaders and activists were arrested in ‘false’ cases ahead of the polls. Mentioning that they have taken the polls as a challenge, the BNP acting secretary general urged his party colleagues to face any adverse situations with courage and put up a strong resistance against any move to manipulate votes. “If we want to live in a democratic system, protect our all rights, including voting one, freedom of expression and build a happy, prosperous and democratic Bangladesh, we must put up a strong resistance together with people in a democratic manner,” he observed. Fakhrul said their chairperson Khaleda Zia also urged people to go to their respective polling stations with courage to cast their ballots and protect their voting rights. He said they have prepared an advertisement on the municipal polls to publicise that through the electronic and print media as the Election Commission has allowed them to do that.